This little guy is sitting on a wing bone from that old (massive 6 foot) drawing, re-purposed as a background for this series. Why did I do the original drawing in red? Because it was a terrible drawing, and many bad decisions were made. I like the re-use of it, though. 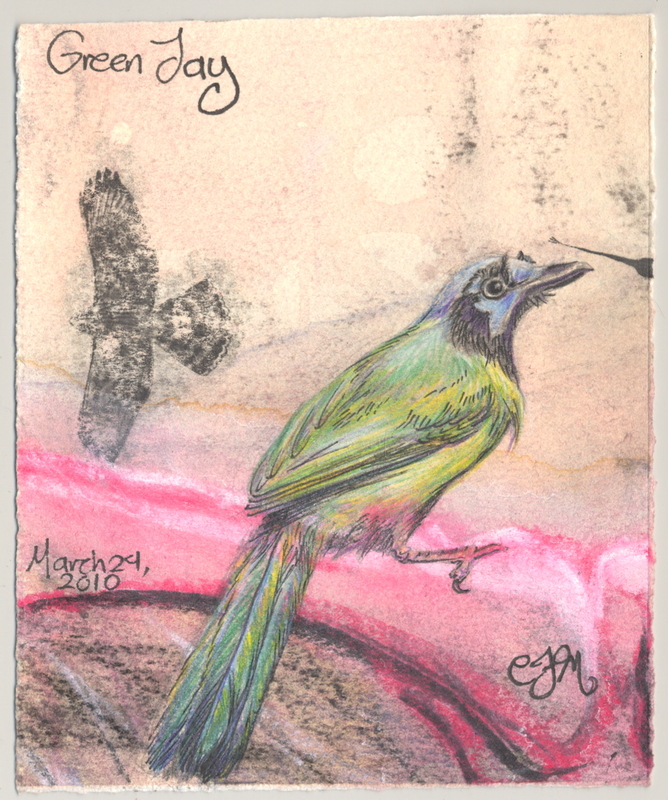 I chose a green jay to contrast the red.